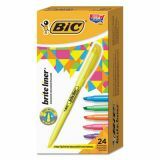 BIC Brite Liner Highlighters - This BIC Brite Liner Highlighter makes a smart addition to any collection of office or school supplies. This highlighter will make anything stand out with super-bright fluorescent inks. 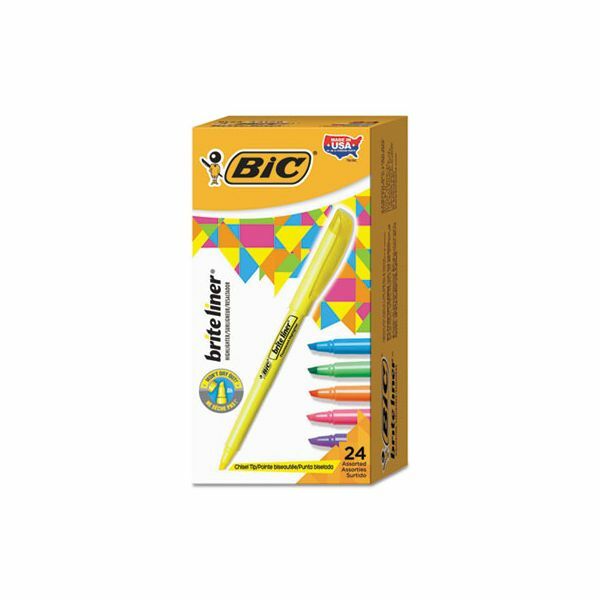 Multipurpose pocket-style highlighter features a chisel tip for marking wide and narrow lines of text. The convenient design makes it easy to hold. Compatible with photocopies and computer paper. You can use these highlighters to draw attention to important information and guarantee it gets noticed. 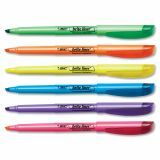 Use them to highlight notes for class, underline critical portions of reading material and help identify anything else on paper. Quick-drying, odorless ink is certified AP nontoxic.